God-Tricks is the first to use brand logo ， widely to Chinese characters event background cloth hung up the many different countries，“GT·Infinity”in the future will also its heritage. “GT·Infinity”first product–Perseus，will be putaway in today. In the further, “GT·Infinity”will bring more and more excellent performance for players , and other mountings or peripheral products. From A full metal with ring the yo-yo from God-Tricks , has in the past two years , we have been thinking about the meaning of all metal ring. Now , finally we can show you our result —- the name is “Perseus” , it comes from the ancient Greek myth of the hero Perseus , because achievement get rising to become the famous north constellation. Inheritance on a metal ring yo-yo Trump’s appearance design. Heavy stainless steel outer ring design , protect the sphere also has strong stability and spin capacity , and we think that all metal ring with indispensable a universal features : Power. Ultra wide effective line width , Ensure you the limits of the finisher. 65 grams of weight , the weight of the speed type distribution , very adapt now the yo-yo competition , Faster and Faster!! Describe the performance of Perseus , need five words : stabilization , lasting , accuracy , high speed , power . This is the yo-yo use full aluminum metal even without carefully designed all metal ring the yo-yo cannot have both. For make Perseus , sphere adopted imported 7075 aluminum alloy , 7075 is the best types of aluminum alloy in strength more hard than ordinary 6 series aluminum alloy , it belongs to first grade. Just to give you more hard sphere , longer durability . 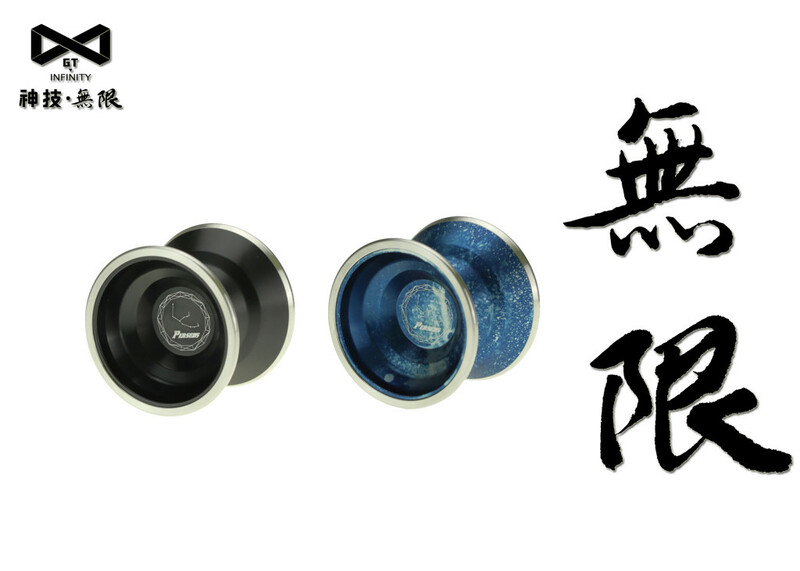 The yo-yo Perseus for the first time to sell in 2016 China YOYO Corporation Championship , it was get the players good evaluation. As “GT·Infinity” recasting the first brand , we poured our technology and sincerity , only for you to feel !